‘Black Swan‘ won many accolades and even though its not my usual type of film I do sometimes make an effort to watch these hyped-up Hollywood award-winning films. The fact that Queen Amidala/Padme (Natalie Portman) from the Star Wars prequels was in it was another reason to see it and I was actually intrigued by the dark side (no Star Wars reference intended) of it all. Watching it was one thing but doing a location was another but as I was meeting a couple of people for lunch near the Lincoln Center for the Performing Arts I thought I might as well kill two birds with one stone. Nina (Portman) exits the Lincoln Center subway station between West 63rd and 64 Street and enters the Lincoln Center on Columbus Avenue. 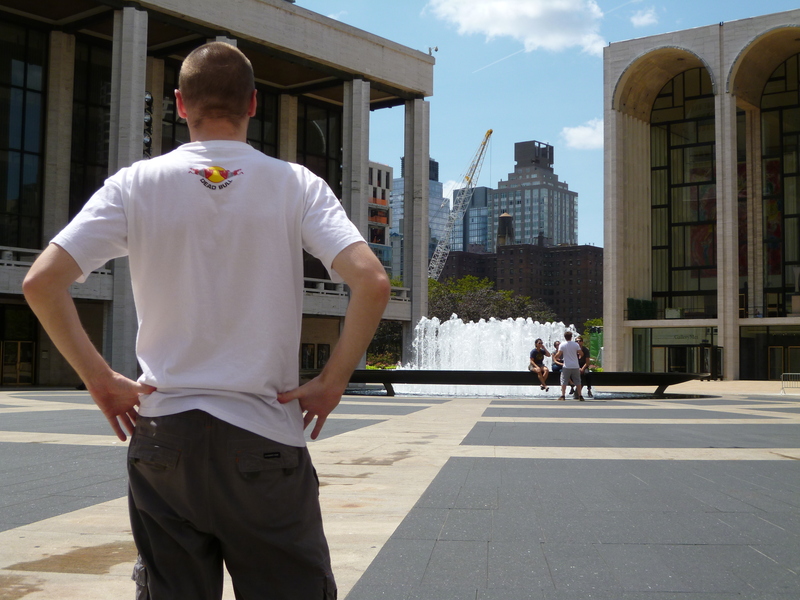 This entry was posted in Movie Locations, Nth American Travel and tagged black swan filming locations, black swan new york locations, Lincoln centre, movie mimic, natalie portman, new york filming locations, padme, queen amidala. Bookmark the permalink.